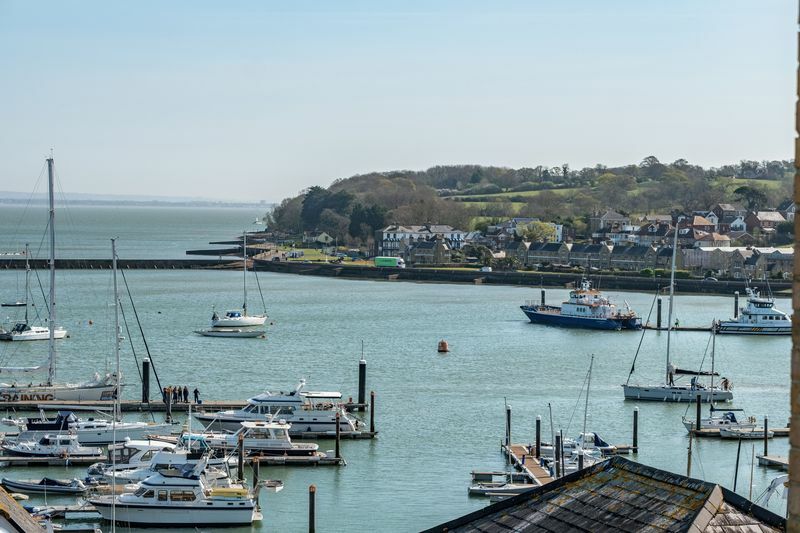 ***OPEN HOUSE SATURDAY APRIL 20th*** 10am-12pm BOOK NOW TO AVOID DISAPPOINTMENT ***SALE PRICE OF THE YEAR*** WHAT A VIEW! 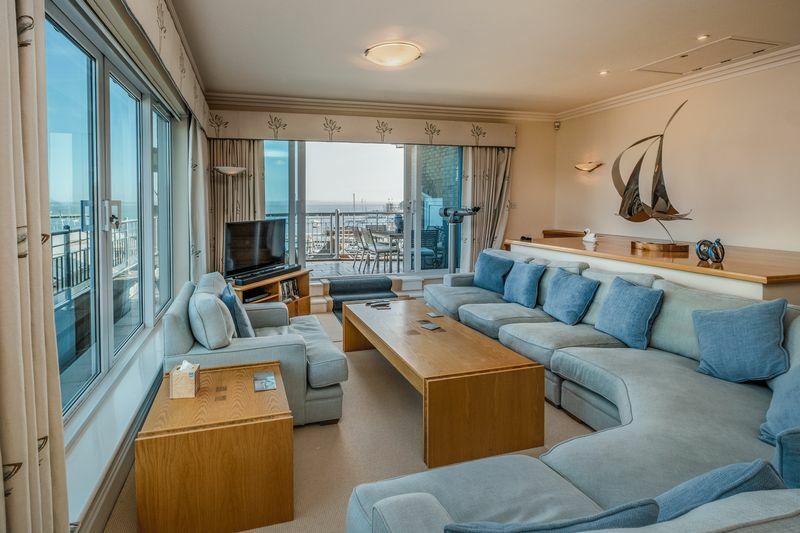 - PENTHOUSE Apartment over three floors with unrivalled views overlooking the Sea and Marinas. 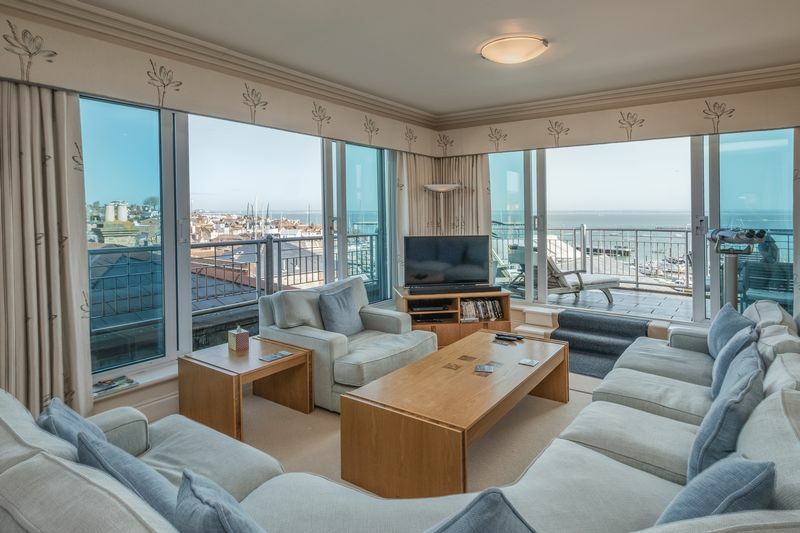 This purpose built Penthouse apartment comprises of 4 Bedrooms, 3 Bathrooms and 3 Balconies. 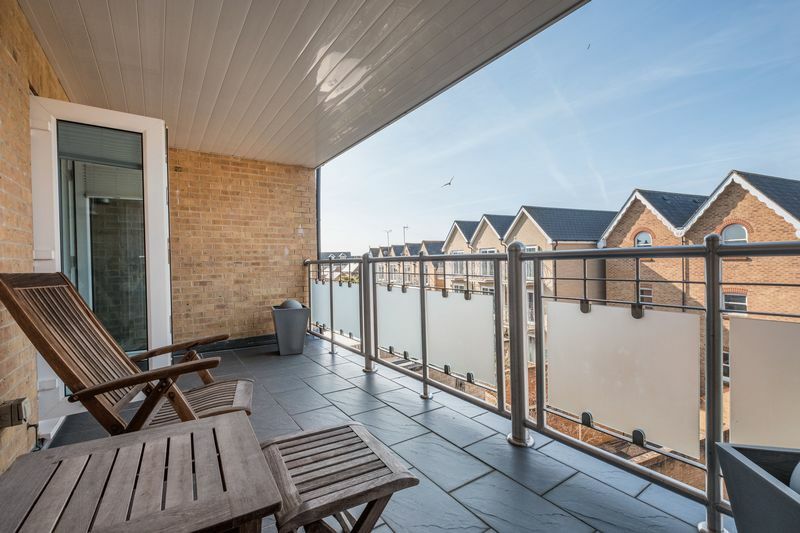 Complete with secure parking for 2 vehicles and access to the apartment via a lift from the large entrance foyer. Turned staircase to all floors, access through to the secure parking area. Central lift and access to utilities cupboards. 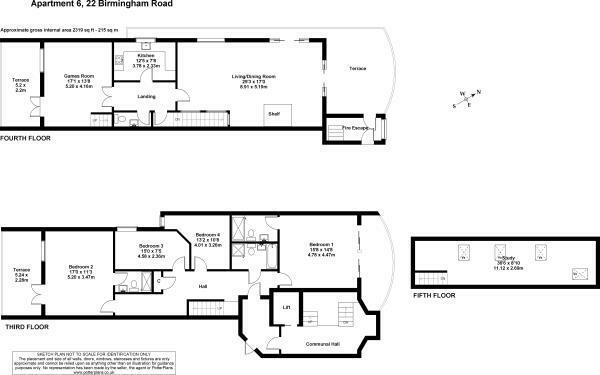 A bright spacious welcome with fitted storage and accommodation off. 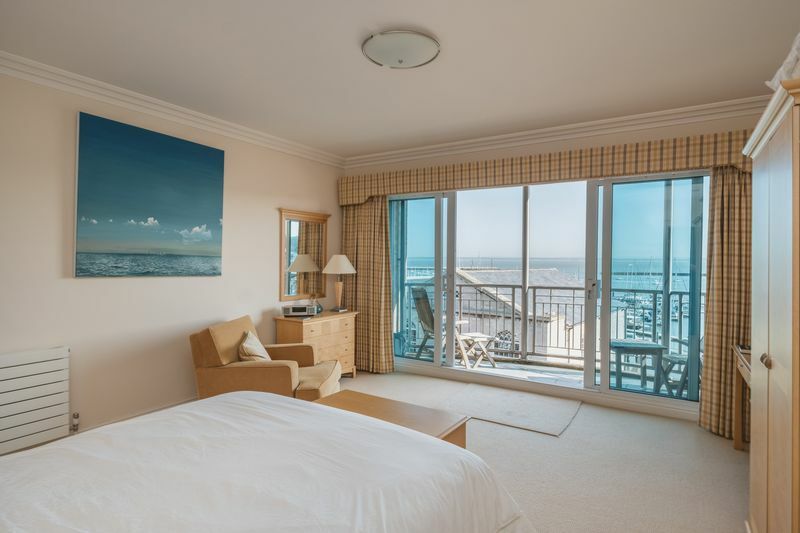 A large main bedroom with private sea facing terrace. A modern suite comprising double shower cubicle, pedestal wash hand basin and low level w.c. Chrome wall mounted heated towel rail. Tiled floor. Recessed lighting. Extractor fan. 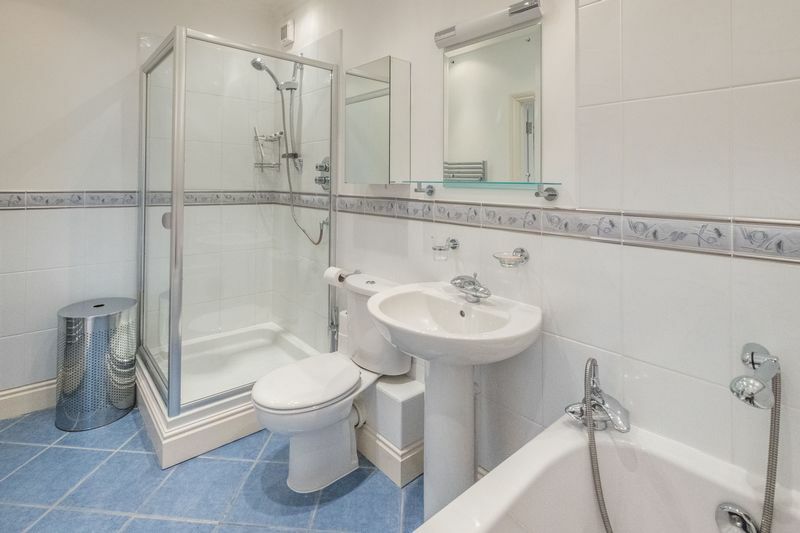 Complete with panelled bath with shower attachment, shower cubicle, pedestal wash hand basin and low level w.c. Chrome wall mounted heated towel rail. Extractor fan. 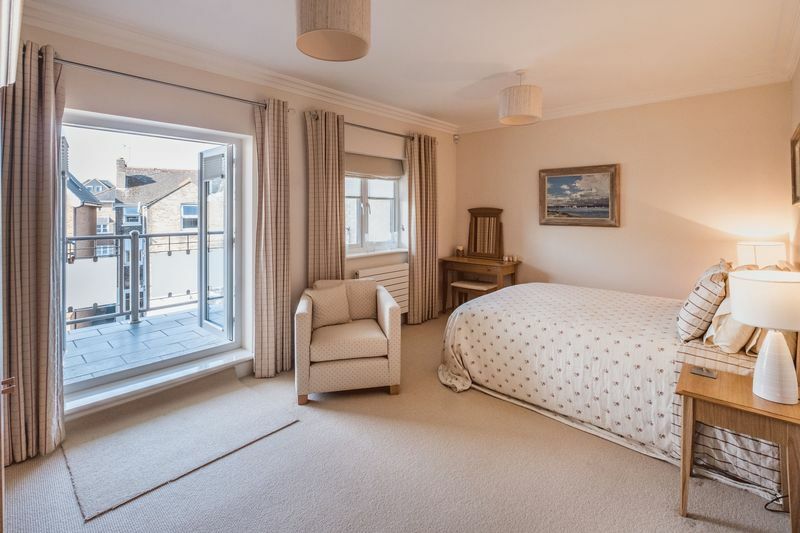 A generous rear facing double bedroom with southerly aspect terrace. A lovely shower room appointed with double shower cubicle, pedestal wash hand basin and low level w.c. Chrome wall mounted heated towel rail. 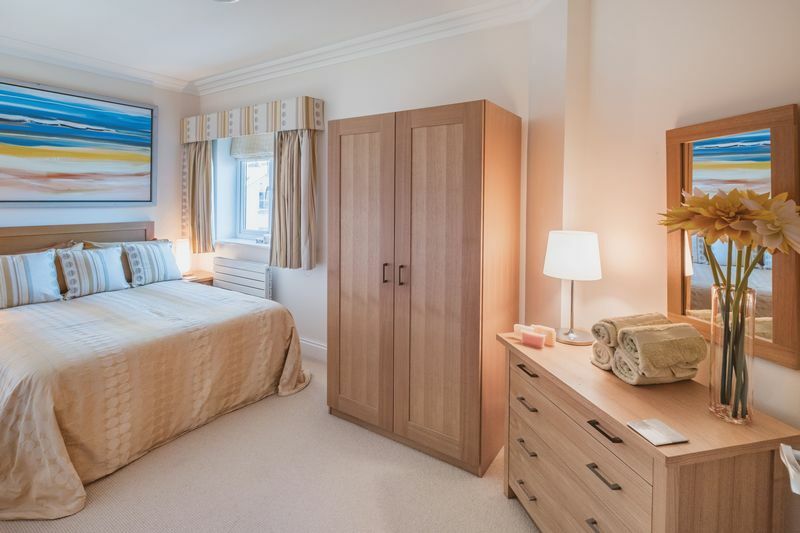 A large double bedroom with side aspect. 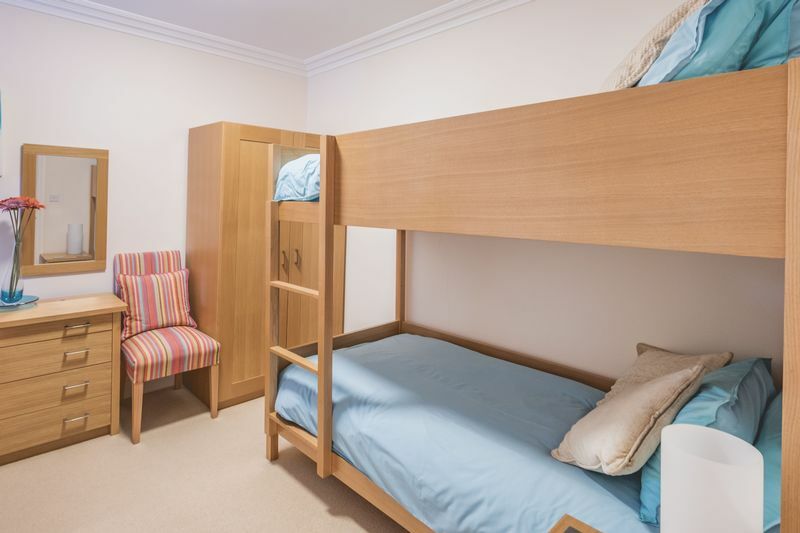 L-shape double bedroom with rear aspect. Fitted with W/C and wash basin. 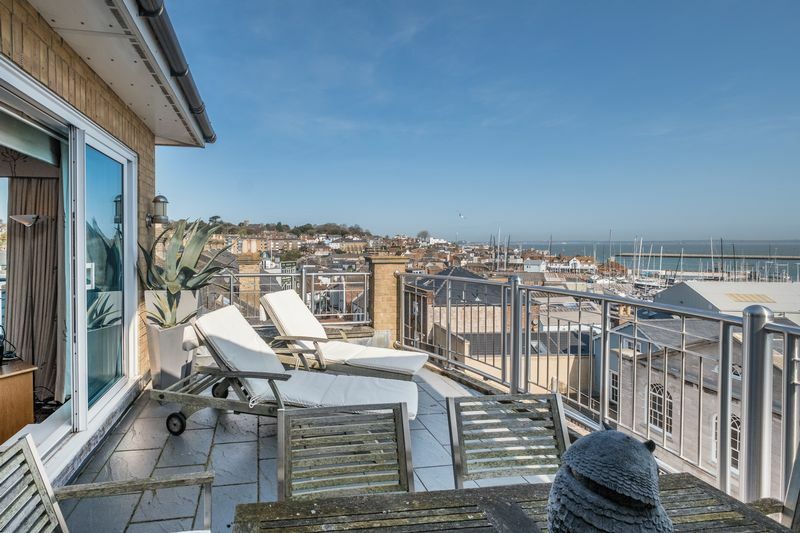 An excellent reception space for entertaining - dual aspect with views and sliding doors onto a wrap-around TERRACE with views across the Solent and Cowes Harbour. Double glazed window to side. Beautifully appointed space with a series of floor and wall mounted units and contrasting stone counter top. With 5 ring gas hob with extractor hood over. Eye level double oven. 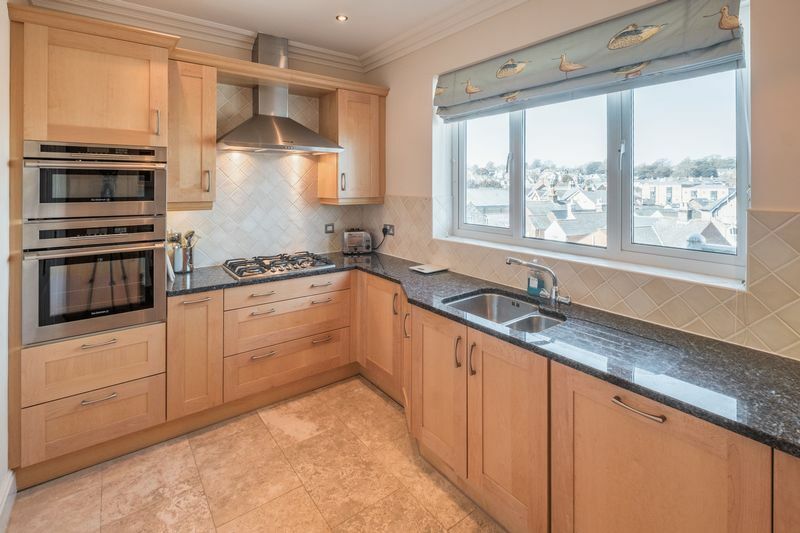 Integrated appliances include, fridge freezer, washing machine and dishwasher. Tiled splash backs. Recessed lighting. 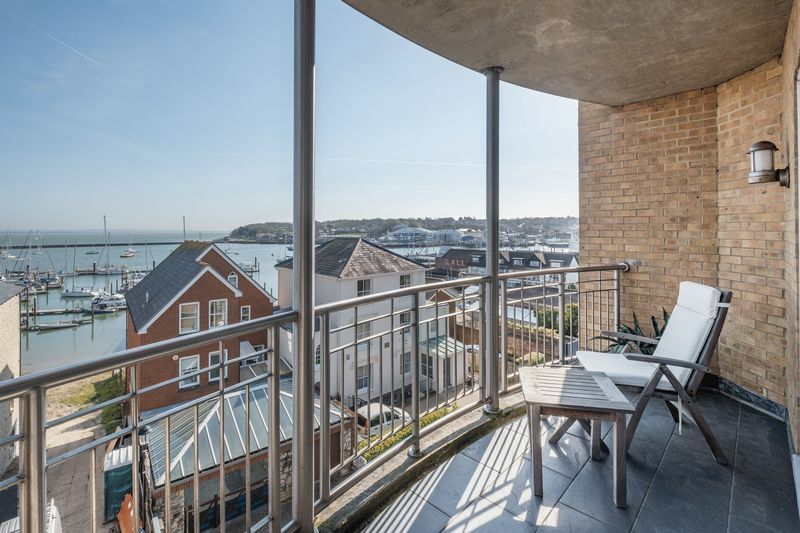 Double glazed window to side offering Harbour and town views. 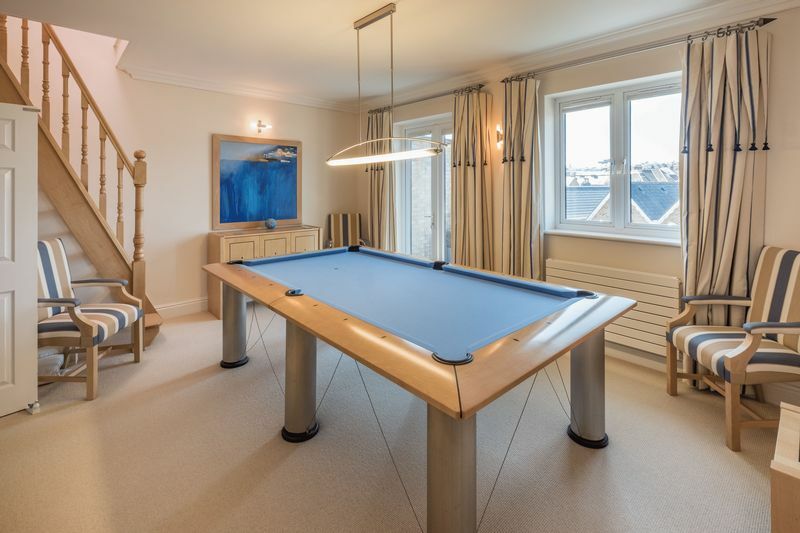 A second reception used currently as a games room. 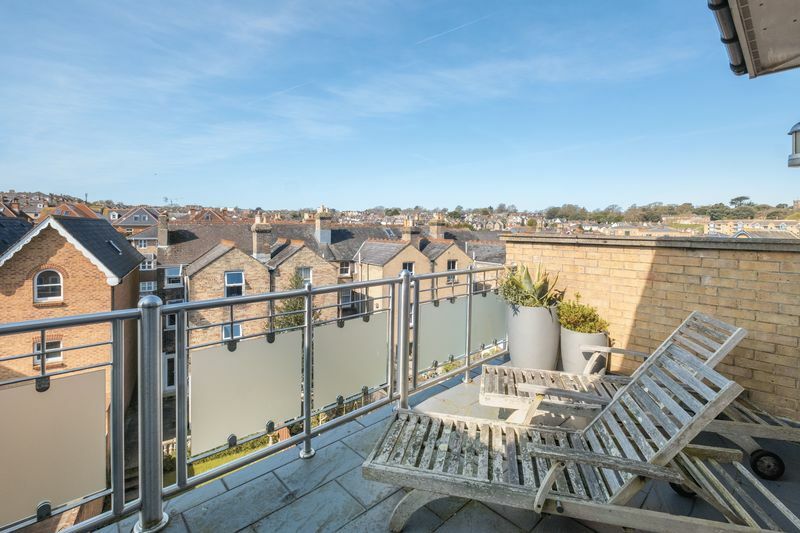 with large terrace and glass balustrade. 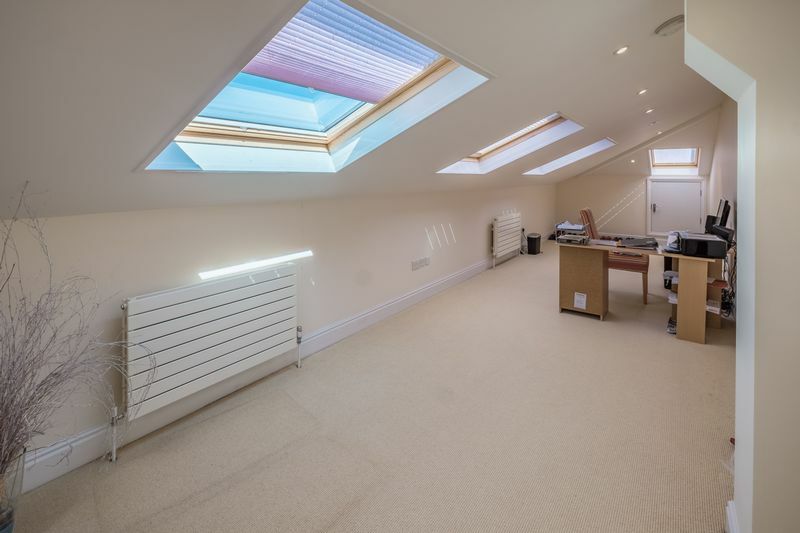 A fantastic additional space with sloped ceiling and velux windows. ideal home office or study area. 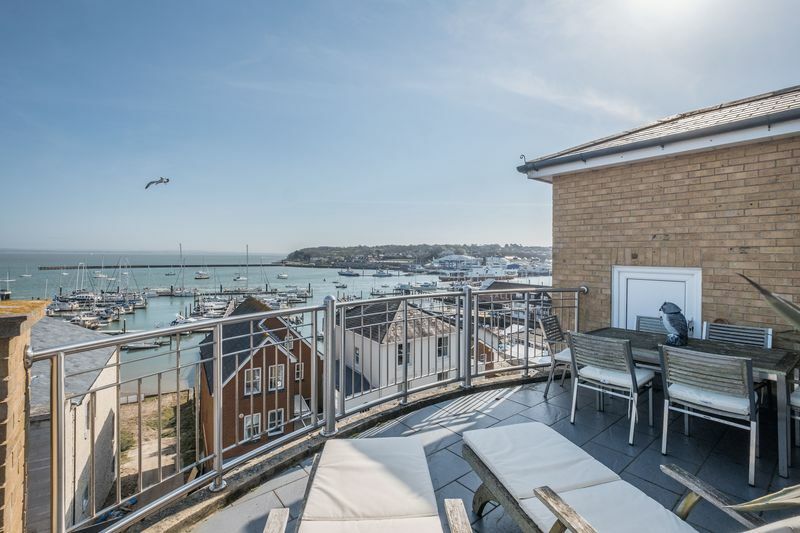 Benefiting from several balconies and private terraces there is plenty of outside space to enjoy the views and sun or just soak up the Cowes atmosphere. 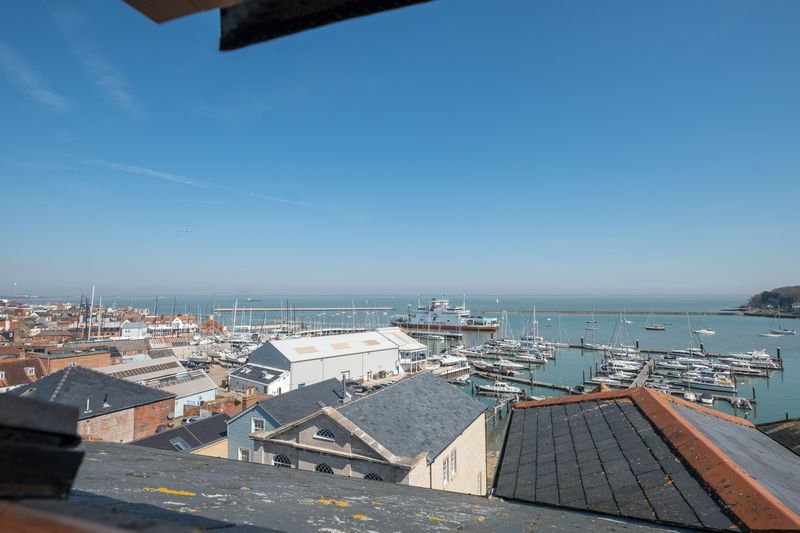 In addition to this, there are two parking spaces situated on the ground floor, with garage which is secured by a remotely-operated grill door from the street. The garage can also be accessed from the foyer via a pedestrian security door.